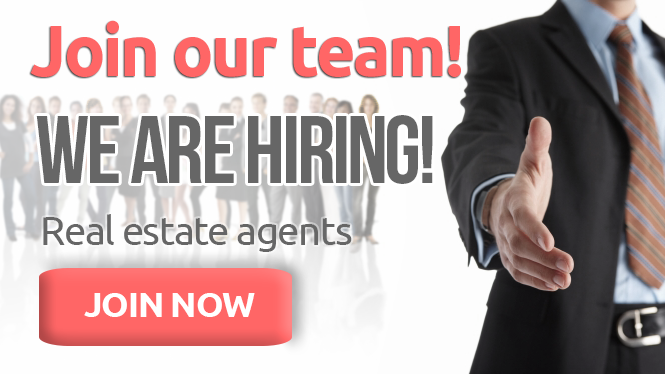 Considering a Career in Real Estate with Real Homes Realty Estate Agents? Real Homes Realty has a culture of successful people; passionately fulfilling their dreams and helping others do the same! We are a company that is committed to building a winning team comprising results-focused people of integrity, who are highly skilled in sales and customer care. With the right people and the right training, the aim of our company is to offer property sellers and buyers a better experience – an improvement on that which is currently offered by the typical real estate agency. What follows will give you a guide into what our company can offer you if you work with us. It will also give you a guide into what is expected of you should you accept a position on our team. Real Homes Realty is a dynamic agency, which strives for company growth. We know that growth is impossible without quality people. That is why we value our people above all else. At Real Homes Realty, we have exceptional career opportunities with promising progression. Our company provides excellent conditions and we are searching for motivated individuals to have a mutually beneficial long-term sales career. Our organisation is premised on a culture of providing responsive and pro-active service through high levels of personal communication, leading edge technology, innovative marketing and professionalism, which specialise in Residential Property Management and Sales. Our managers are commitment to internally assisting and supporting our employees, we will guide you upwards to the results you desire, we are looking for a team that values loyalty, integrity and commitment to high achievement. Real Estate has a reputation which is often undeserved. The real estate industry has many fine and honest people and can be a wonderful industry in which to enjoy a career. Poor systems and outdated practices, however, have led to widespread public disdain. Within the industry things are not much better. Apart from those brief periods when the property market is booming, many real estate agencies, and the salespeople working in them, struggle to survive. A Teacher once told me “In twelve months most of you will be out of the real estate industry. And those of you who remain will not be making much money.” How inspiring! It does not have to be this way. You are invited to consider a career with a different type of real estate agency – one that believes salespeople should be well trained in selling skills and client care. Our company is not perfect, but we do know that the secret to longevity in business is to look after our customers. To achieve this aim we are constantly on the lookout for good people, who are willing to learn how to sell real estate in a manner that puts the client, and not the agent, first. The most successful people are constantly improving. You must devote yourself to continuous training and improvement. Winners constantly attend real estate school – by reading, attending seminars, listening to recordings, watching videos – learning at every opportunity. In real estate, the ‘sale’ is not so much when someone decides to purchase a property. The true ‘sale’ is when a person grants you the right to represent them as their agent for the sale of their property. What you ‘sell’ is yourself, our agency and the benefits our agency can provide to the seller. The sellers are your clients and their interests are of paramount importance. By remembering this principle and practising a policy of total client care, you will receive many recommendations. The better you care for your clients, the more successful your career will be. People from all age groups and backgrounds are welcome to enjoying successful real estate career at our agency.